Full, thick, long eyelashes are a luxury for many women out there today. The chosen few who have them naturally also need some added touches every so often, especially those who are going to formal functions or parties. So how do you really inspire eyelash envy and be the talk of the lash-obsessed town? Here are four precious tweaks you cannot do without. Eyelash lengthening serum – A boosting formula just might be what you need if you have short, stubby, spare lashes. There is a rich assortment of serums and conditioners out there today, but go for the best bang for buck: both top quality and value for money. Use the formula by applying to your upper lash line every night before bedtime. See results in a couple of weeks to a month or two, depending on the goals of product use and product positioning. The good news is you make also use these formulas for your eyebrows (see if they state it on the label). 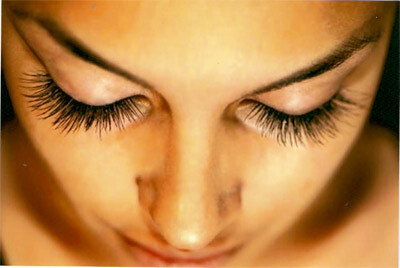 Eyelash extensions – Go for semi-permanent ones that will bring about a lush, attention-grabbing appearance. They are worth more than usual but they are as natural and long-lasting as most faux lashes get. Seek professional lash extensions from a professional salon or beauty centre, as incorrect application can cause a disaster. Now if you don’t have the moolah for semi-permanent extensions yet, try high-quality individual false lashes instead. Eyelash tinting – Your lashes may be long but pale or naturally blonde. If this is the case, give lash tinting a try, as this treatment temporarily dyes your lashes and gives them a young, dramatic look. You may not have to apply too much mascara anymore! Eyelash tint lasts anywhere from two to five weeks, depending on the color-holding ability and growth of your lashes. Again, go to a pro – make an appointment with a credible tinting centre and not just any run-of-the-mill service that isn’t tried and tested yet. Mega mascara – These are highly esteemed by makeup artists and get the vote of beauty editors. While pricier than usual, these quality ones offers a dark, smooth tint and long, glossy lashes without the clump or unnecessary thickness. Keep in mind, though, that while high-end, these mega mascaras should be changed every three months to avoid bacterial contamination and a thickened formula. Copyright © 2011- 2019 Lashovée. All Rights Reserved.